38!! Jeez, please hand me my walking stick! Unfortunately what Braun did was probably done by a huge percentage of players. The thing about Braun that really put me off wasn't his steroid use, per se, but his casual willingness to throw a random nobody (a courier) under the bus to protect himself... his attitude that his own reputation was important, and destroying somebody else to protect his reputation was OK.
Kinda like Brett Kavanaugh - it's not what he did as a teenager/young adult, but his willingness to casually lie about it, to discredit other people, to protect his reputation and gain a job he wanted. The whole attitude of "I'm important, what I want matters, and these other people are disposable." There's a special place in hell for people who are that selfish; I expect Braun and Kavanaugh will one day share a few beers at the Styx Riverside café. There is definitely a whole lot of people these days with casual willingness to throw innocent people under the bus. Of course I am equally concerned with how Kavanaugh casually lied or misled people in his earlier testimony about lots of things (handling stolen Senate documents, denying involvement in the politics around a bunch of judicial nominations, misleading about his record on environmental issues, choice, etc.). Come next spring Madson and Happ will be the last 2008 Phillies left standing in MLB. Also wondering if Kyle Kendrick has one more comeback in him. He did not pitch this year but he just turned 34 and it is not like he ever had great stuff anyway. If Jeremy Hellickson has some more years in him Kendrick might also. Yeah I think PM forgot Hamels. I wonder if the Cubs will spring for his option, the buyout is pretty darn expensive to begin with. But either way he'll be pitching. Is Joe Blanton still hiding out there somewhere? Matt Stairs let go after one season for the second straight year. Can we have him back on TV? He is ninth man to hold the position since Petco Park opened in 2004. Infield coach Josh Johnson also released. Blanton was out of baseball this season. You would think that if he wanted to continue his career, he would have at least tried to latch on to an independent league team somewhere. But, he didn't so, odds are, his career probably reached the end of the road. Andyb mentioned Kendrick. Kendrick was also out of baseball this season, no minor or foreign league appearances. So 2017 looks to have been the end of the road for him too. And yes, how could I forget Hamels?! I was too busy looking for proverbial hangers-on, I guess. Hamels is more than that. 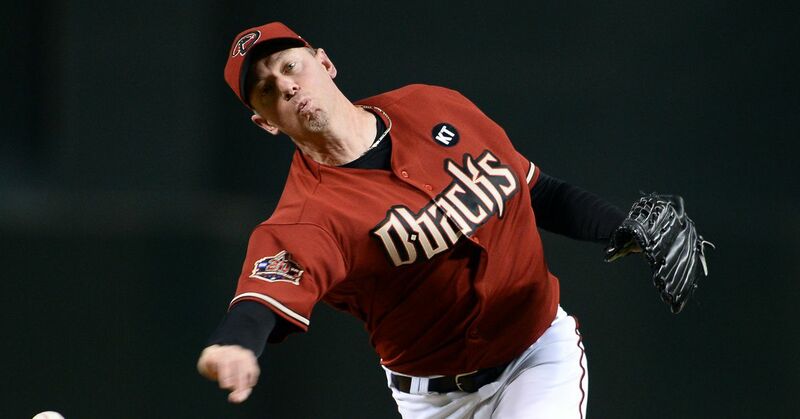 The sidearming right-hander is hanging up his cleats after 11 big-league seasons. I’d be stunned at this point if the Cubs don’t bring back Hamels...if they don’t, it’s a holy lock he’ll be pitching in Philly IMO. They’ll pay him what he’s worth, could use him and why would he want to go elsewhere? Yeah he's staying and they need him (after Chatwood and Darvish bombed). Just a matter of whether they pick up his option or renegotiate. All else being equal I probably wouldn't offer him an open-market FA deal if I were the Phillies though. Mitch Gueller - apparently he is not a bad football player. 23 catches for 585 yards this year. 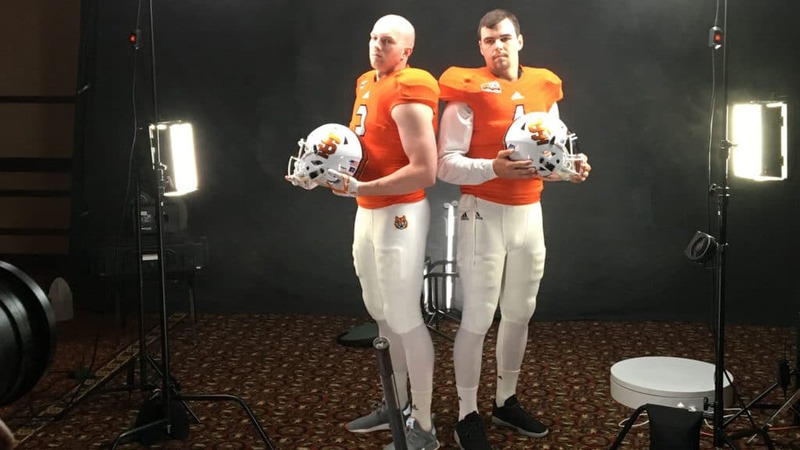 220 pound guy with good speed (mid 4.6s in the article) though that might not be as special in the NFL as at Idaho St. His brother Tanner is the QB. Thanks to younger brother Tanner, Mitch Gueller has proven as adept at catching in football as he was throwing in two sports. Strange that his eye injury precluded a baseball career, but not playing the much more violent sport of football. Our School District had a Superintendent of Schools, who was a former Phillies minor league signee. His baseball career came to an end, because he wasn't allowed to play with only one kidney, after he lost the other in a hunting accident. I guess Gueller really wanted to play on the same team as his brother. Matt Imhof was the Phillies pitching prospect with the unfortunate eye injury. Mitch Gueller was just a pitching prospect whose stuff diminished in pro ball. Oops. Of course you are right. Both second rounders. Are we sure they don't want Polanco?